Those are interesting words, because this recipe is exactly that: a wonderful sponge cake, dusted with sugar and drizzled with milk sauce. So sometimes that’s a good thing. Perhaps not so much in literature, in Mr. Chairdi’s opinion. I remember milk sauce on cake from when I was very young. Mom used to serve it with blueberry cake. It was a treat and delight. 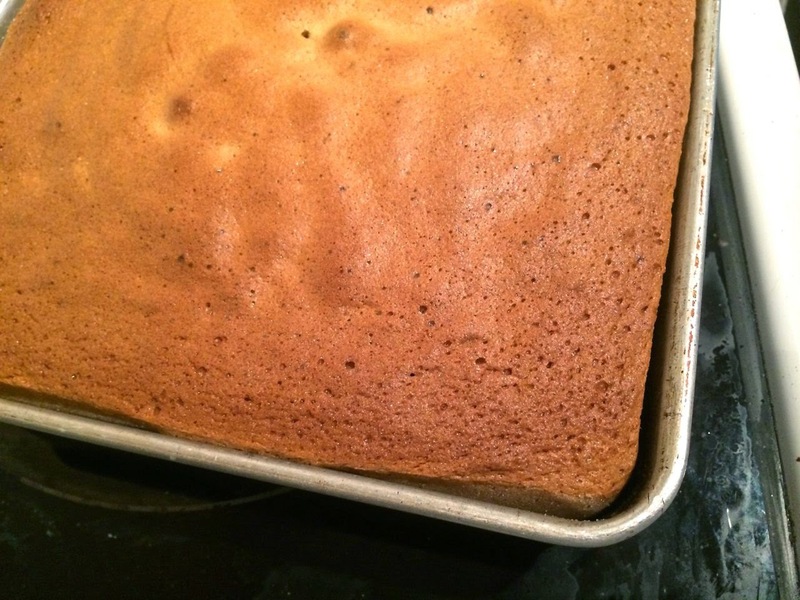 The origin of this cake started, as most things do, in front of my computer because I didn’t have an ingredient. I had no butter, and was looking for a cake recipe that didn’t use it. You can substitute shortening, but when I searched I stumbled across the unexpected. 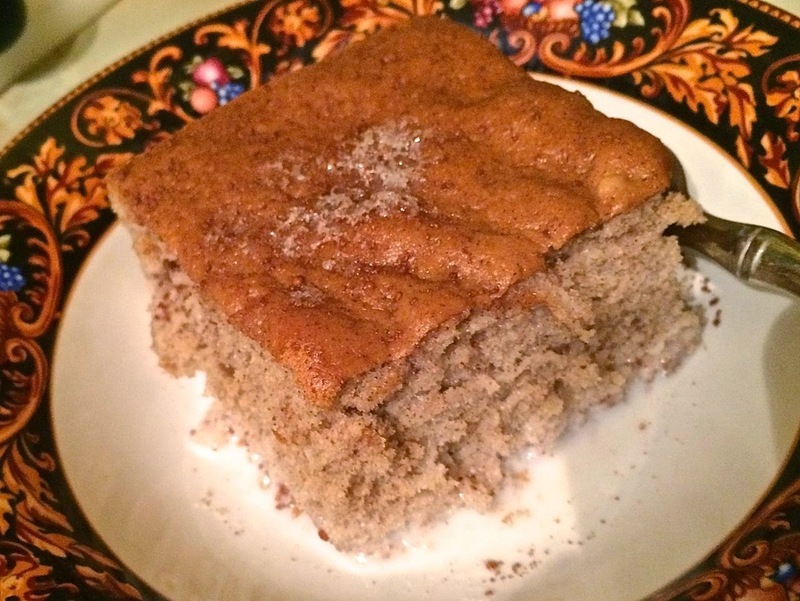 A recipe I found contained no butter, or shortening and no milk in the batter. I did have milk. That wasn’t the issue. But I was intrigued. So intrigued I made it, or at least a version of it. I won’t get into exactly what I changed It still bears a passing resemblance to the original, but that’s probably about it. Left to right: the eggs and sugar; with the flour incorporated; ready for the oven. I have made a fair number of cakes and have never made one that defined the word “sponge” so clearly. This was the lightest cake I had ever made. Think of angel food cake light. But the thing is there’s no separating and beating the eggs. This came together, and went down, very quickly. If you’re not that much into milk sauce try it with ice cream. Or anything else you may think will work! This is about 2 minutes after I removed the cake from the oven. It had barely started to pull away from the sides in the oven. I also used a toothpick to test. Better safe than sorry. Preheat the oven to 400°F. Grease the pan with shortening (or butter) and dust liberally with white sugar. Set aside. Place the eggs in a mixing bowl. Add 1/4 cup sugar, vanilla, salt and baking powder to the eggs and beat for 30 seconds. Then add the remaining sugar in two batches. Continue to beat until very light and foamy. 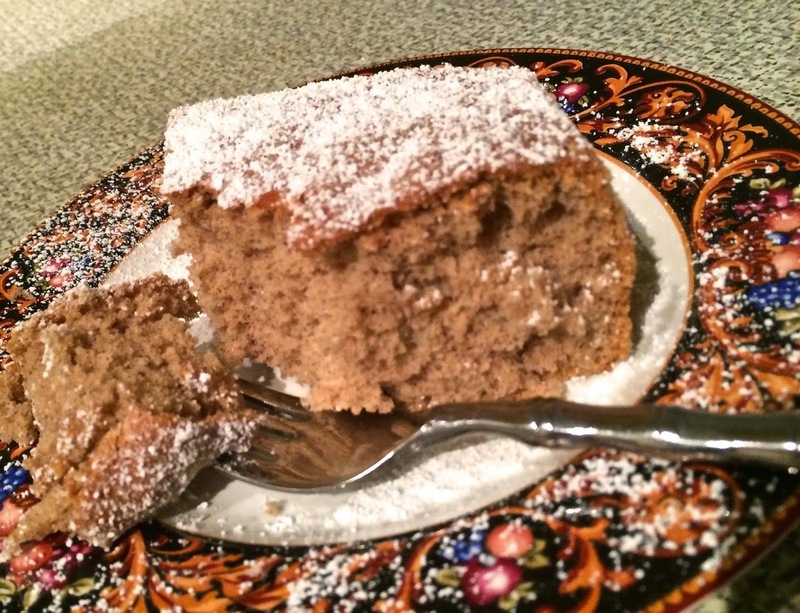 This is the cake just sprinkled with icing sugar – no milk sauce. When beaten enough, the beaters will leave slight trails behind in the batter (much like when halfway through whipping cream). They will disappear immediately. Using a spatula, fold in 1/4 cup of the flour. Repeat with the remaining flour, in two equal batches. Deflate the batter as little as possible when adding the flour. Place the pan in the oven and bake for about 20-25 minutes, or until the sides start shrinking from the edge of the pan. You can also test the centre with a cake tester or toothpick. When it comes out clean the cake is done. Let cool in the pan. Once cool you can turn out onto a plate and sprinkle the top with confectioners sugar (optional), or use the sauce for an amazing old-fashioned style dessert. this sure looks good. have you ever made Québec a bouilli? i can't find a recipe in english for it. i've been looking all morning. the ones i translate are pretty lame.